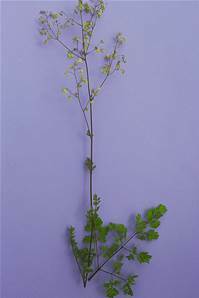 Tufted, rhizomatous perennial with fern-like, hairless, finely cut leaves. Produces tiny yellow-green flowers that turn brown and are persistent for many months. The seeds ripen from July to September.